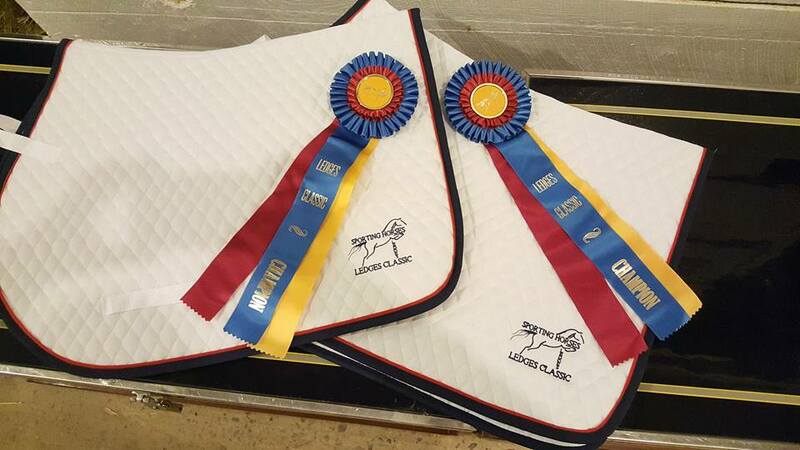 Roscoe, IL – February 15, 2017 - The Ledges Sporting Horses Winter Show Series continues with two USEF National rated shows each month, offering NAL, WIHS and Marshall & Sterling classics each week for both hunters and jumpers. 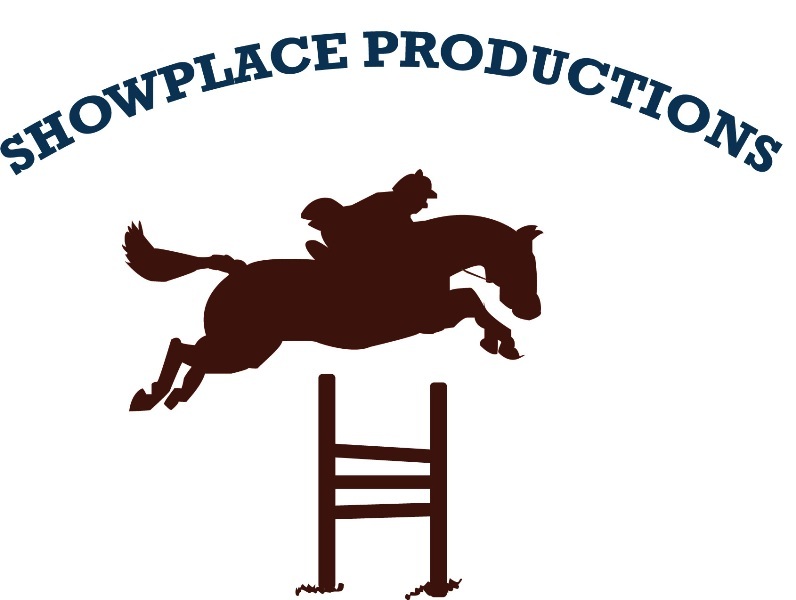 Exhibitors enjoy the Showplace Productions’ Ledges series for it’s relaxed environment, friendly office staff, quality jumps and courses, convenient location and great hospitality, making it easy to show there frequently. 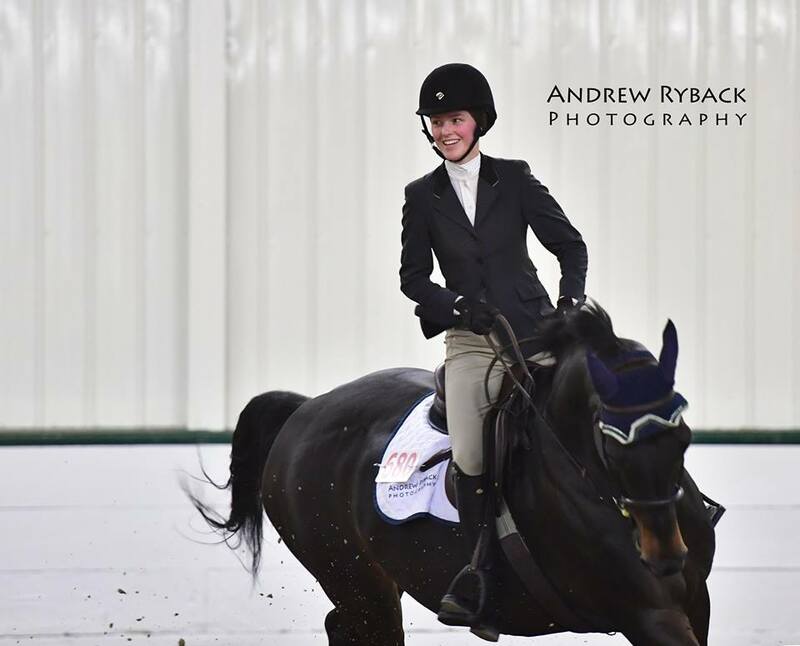 Adult riders rave about the convenient schedule that allows them to maintain busy work and family schedules while providing them weekend time to show. Cindy Husar-Marschke and Sunday Drive took the Championship in the Modified Adult Hunters. Photo Andrew Ryback Photography. Rider Cindy Husar-Marschke, Oconomowoc, Wisconsin, is one of the adult riders juggling work and play. The fact that Ledges offers two rated shows a month, gives Marschke plenty of scheduling choices. She was Champion in the Modified Adult Hunters on her horse, Sunday Drive, this past week. Rebecca Gallagher earned the Reserve Championship in the Modified Adult Jumpers with her mount, Serena. Gallagher can plan her schedule easily due to the well run schedules and enjoys the fun atmosphere while getting away from her work. Maria Keevins-Kogan, Deerfield, Illinois, rode to the Championship in the Amateur Adult Hunters 50 and over division with her mount, True North. She also won the M&S Child/Adult Hunter Classic. Ledges is the perfect option for Keevins-Kogan and her family. 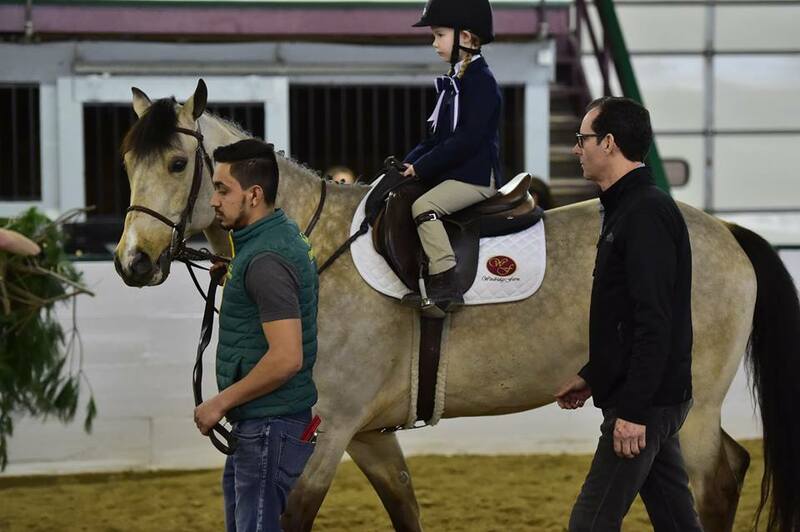 "With me working full time and my 11 year old daughter, Taylor, in school, it can be a challenge to be able to get to horse shows during the winter," explained Keevins-Kogan. "Florida, or even out of state, is not really an option for us. The schedule [at Ledges] is great and there are a lot of good restaurants in downtown Beloit that we actually look forward to going to. Of course, the Showplace Productions' staff is fantastic, as are the other competitors, and they really make it feel like you’re visiting your “fun” relatives for the weekend. We come monthly to keep our skills sharp. The strategy has been working, Taylor and I were both champions last weekend! We will be back in March and we can’t wait!" Schmitt and her Landia 5 rounded up the Reserve Championship in the Amateur Adult Hunters 50 and over division. 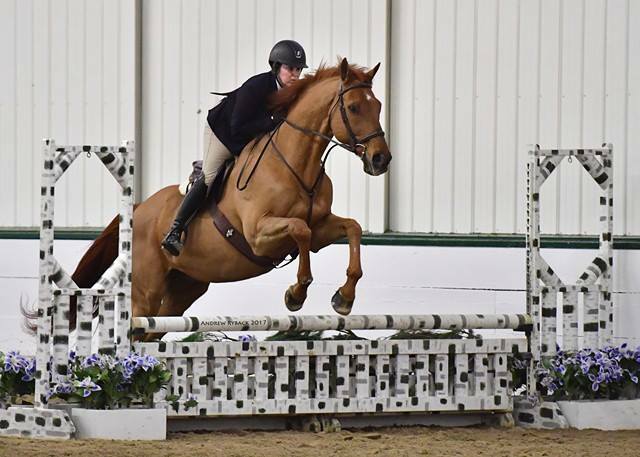 The pair also won the NAL Adult Hunter Classic during the second February show and placed second in the M&S and WIHS Child/Adult Hunter Classics. 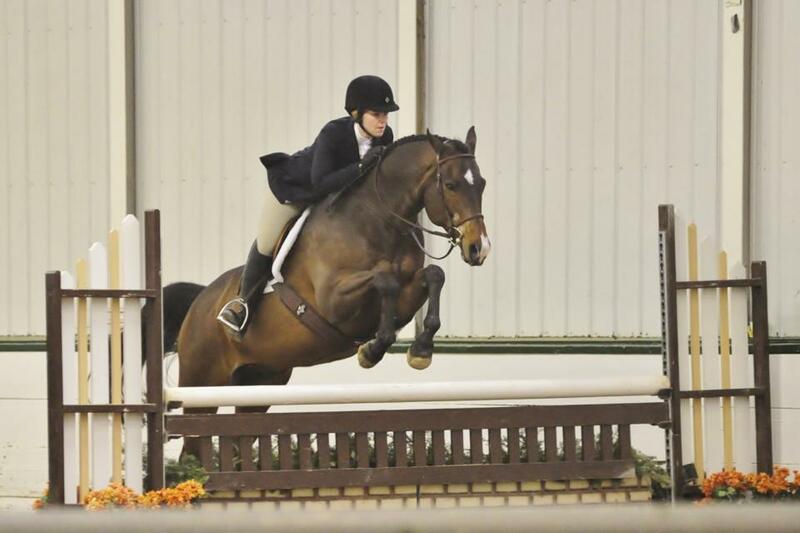 Kristin Finnigan and Eskimo Pie earned the Championship in the Amateur Adult Hunters 18-35. Photo Andrew Ryback Photography. 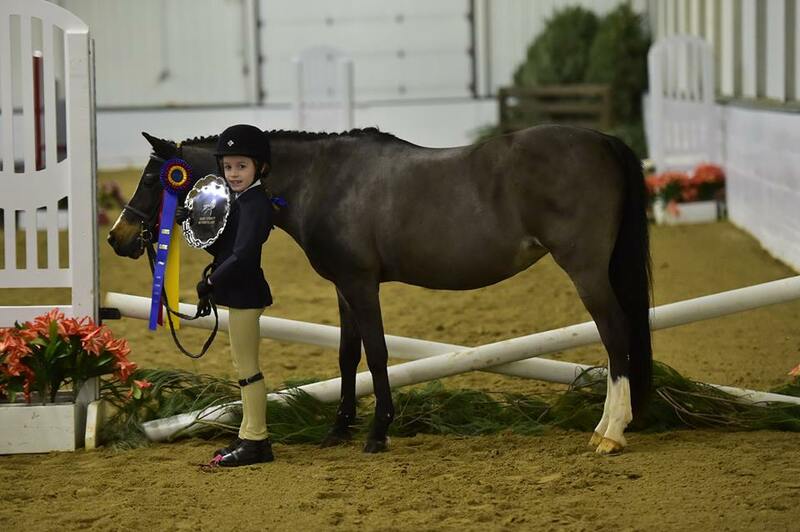 Busy mom, Kristin Finnigan, Algonquin, Illinois, also appreciates the convenience of Ledges, as she earned the Championship in the Amateur Adult Hunters 18-35 section aboard Eskimo Pie. 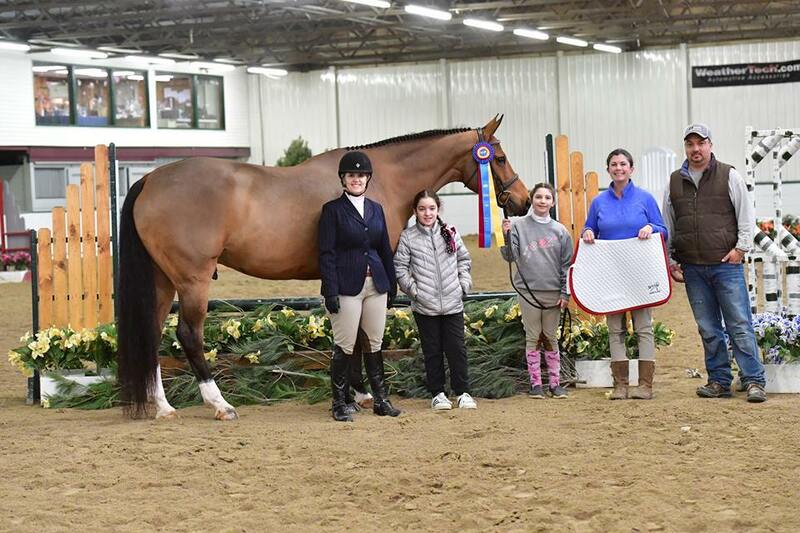 In addition to the winning adults, several of the youngest riders stole the show this past weekend including Zoe Carbone and I'm Not Blue, who clinched the top prize in the Short Stirrup Hunter Classic. 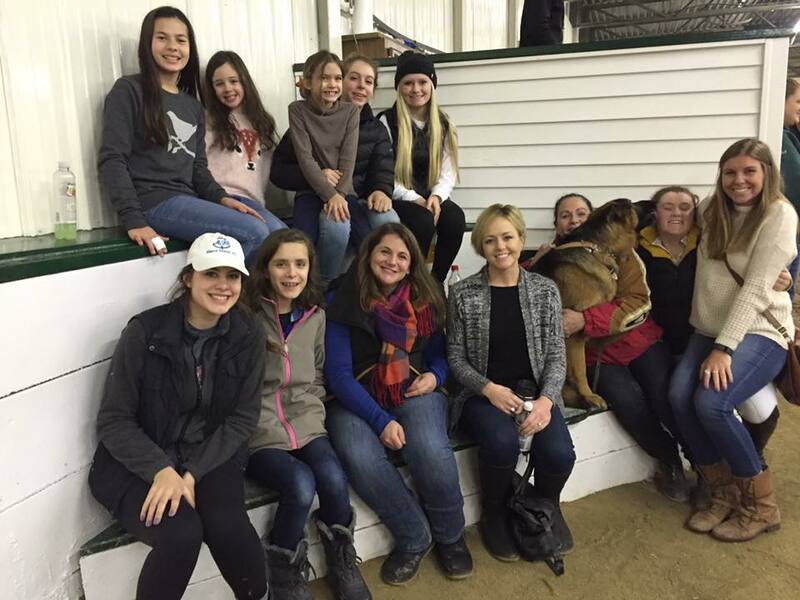 Carbone rides with Denise Lenn at Olde Welbourne Farm in Lake Forest, Illinois. 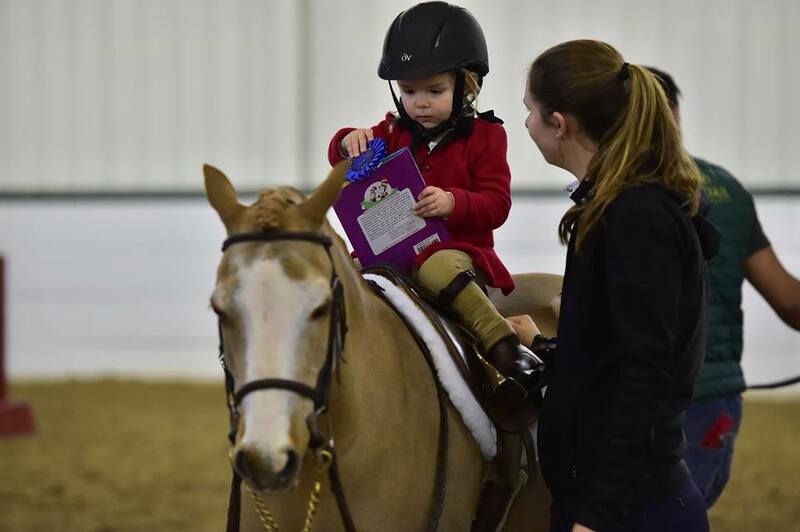 Lead line riders won the cuteness award at the Ledges Winter Series. 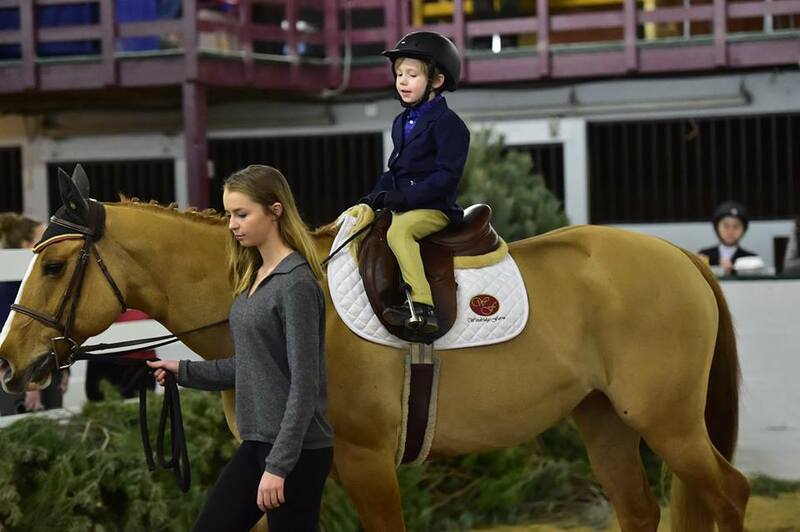 Showplace Productions offered a lead line class for aspiring riders, who single handedly won the cutest in the show. 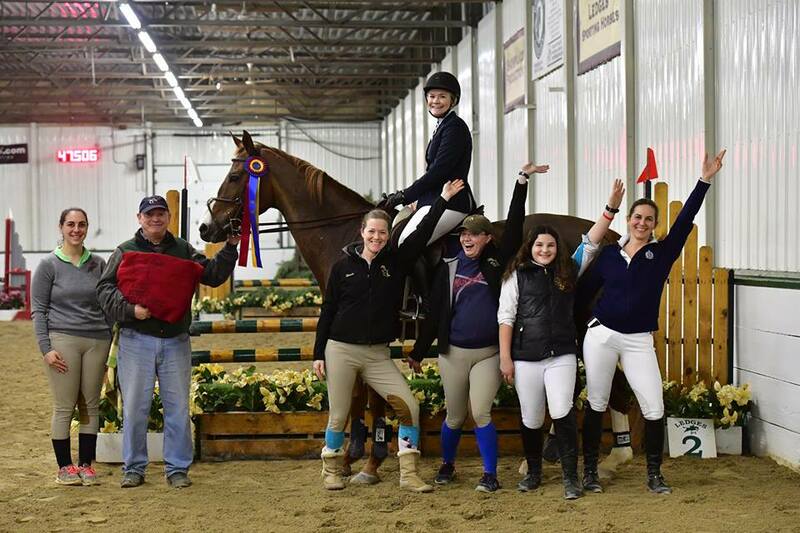 The Ledges Winter Series offers one IHJA B rated horse show each month as well, featuring the 2’6” Chicago Equestrian Hunter Derby, which will take place this weekend, February 17-19, 2017. Get in on the fun and convenience of showing at Ledges! For prize lists and schedules, visit the website at www.showplaceproductions.com. Celia Bresch enjoying the moment. 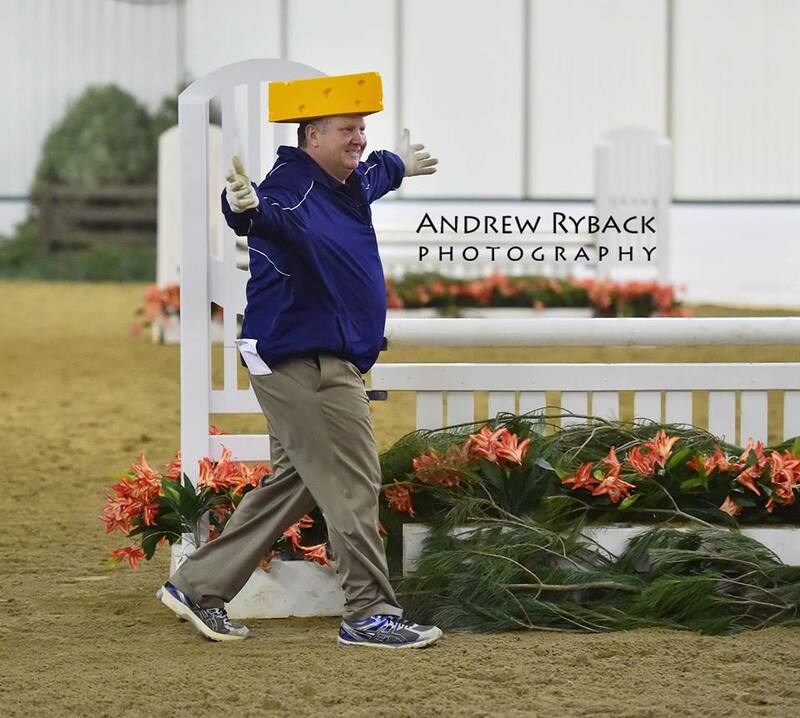 I bet you can guess Show Manager Pat Boyle lost a bet to a Packer fan! The whole gang with My Dusty Rose and Stephanie Renguso, having fun. Photo Andrew Ryback Photography. Millcreek Farm gang hanging out. 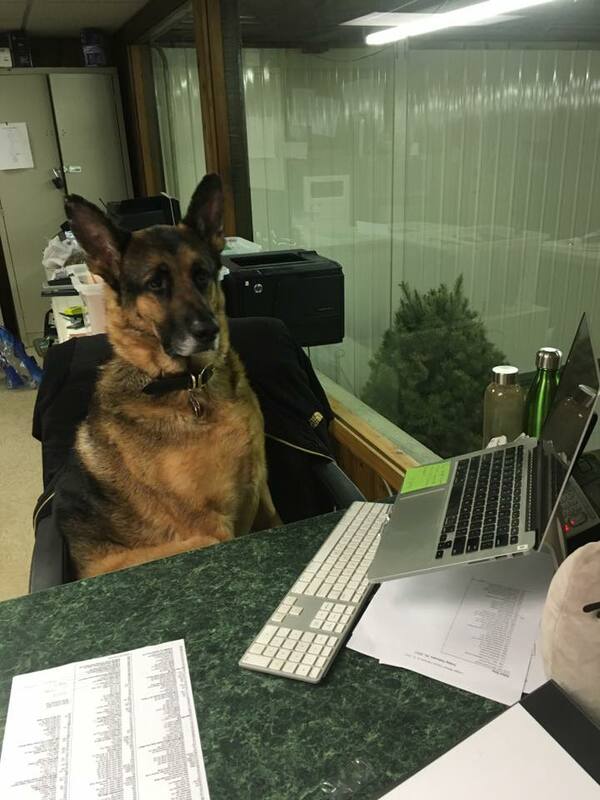 Helpful and friendly office staff ready to assist.